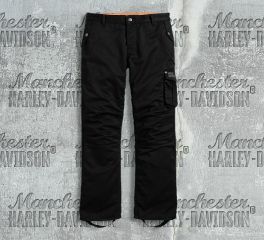 Jeans perfectly tailored for you and designed for good looks and high performance - on or off the bike! 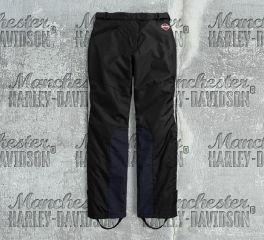 If you need more than just comfort, then choose our Men's Cargo Riding Trouser. Abrasion-resistant 65% polyester, 35% cotton brushed twill with EN 1621-1 CE-approved removable body armor at hips and knees. Extra protection comes with EN 1621-1 CE-approved removable body armor at hips and knees. Removable stirrups. Leather trim on back pockets. Available in 34" inseam. Meets or exceeds EN 13595 requirements in abrasion resistance, impact testing, and seam bursting for CE-certified personal protective clothing.